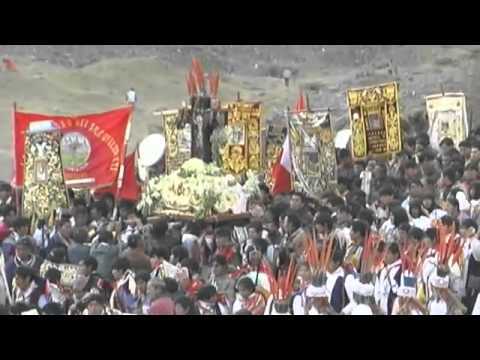 The Pilgrimage to the sanctuary of the Lord of Qoyllurit’i combines elements from Catholicism and worship of pre-Hispanic nature deities. 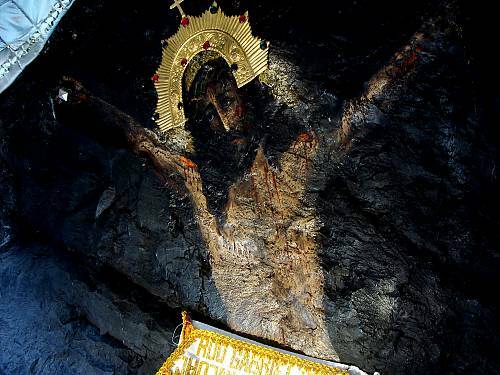 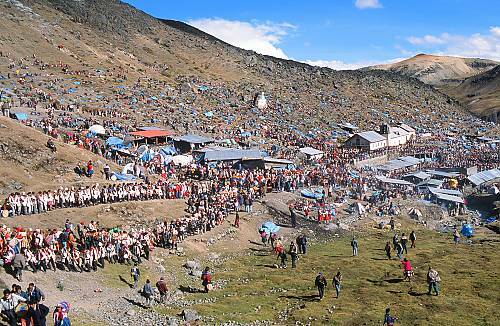 It begins fifty-eight days after the Christian celebration of Easter Sunday, when 90,000 people from around Cusco travel to the sanctuary, located in Sinakara hollow. 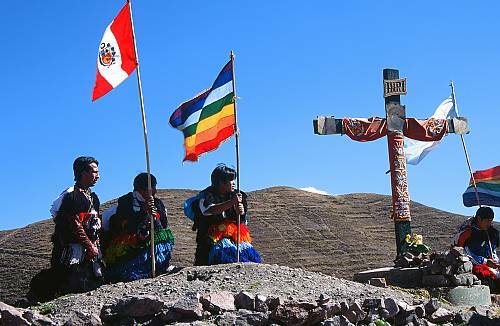 Pilgrims are divided into eight ‘nations’ corresponding to their villages of origin: Paucartambo, Quispicanchi, Canchis, Acomayo, Paruro, Tawantinsuyo, Anta and Urubamba. 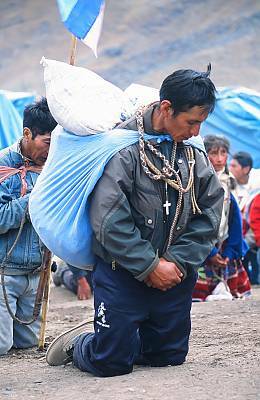 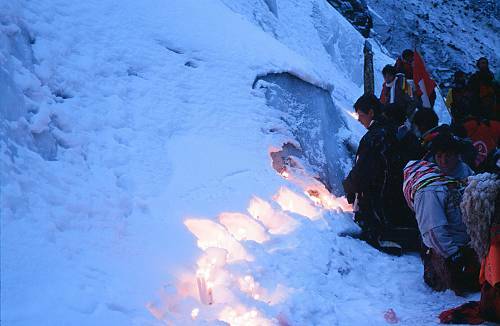 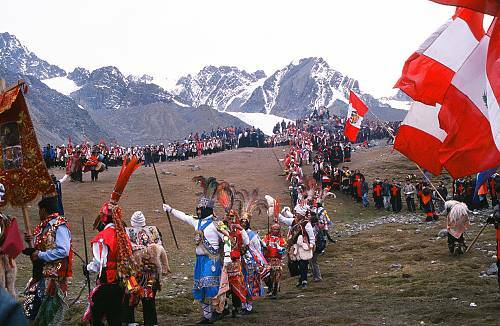 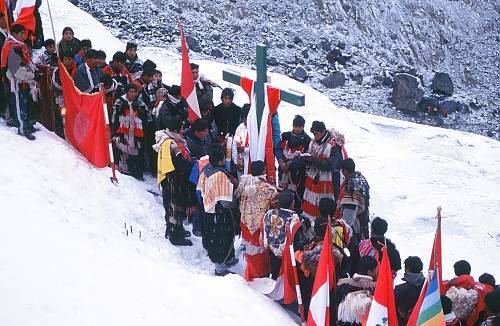 The pilgrimage includes processions of crosses up and down the snow-capped mountain and a twenty-four hour procession, during which the Paucartambo and Quispicanchi nations carry images of the Lord of Tayancani and the Grieving Virgin to the village of Tayancani to greet the first rays of sunlight. 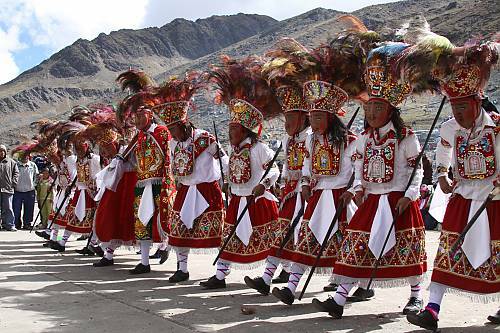 Dance plays a central part in the pilgrimage: a hundred different dances are performed representing the different ‘nations’. 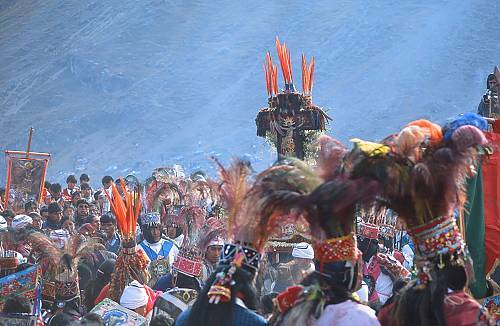 The Council of Pilgrim Nations and the Brotherhood of the Lord of Qoyllurit’i direct the pilgrimage activities, its rules and codes of behaviour, and supply food, while pablitos or pabluchas, figures wearing garments of alpaca fibre and woven wool animal masks, maintain order. 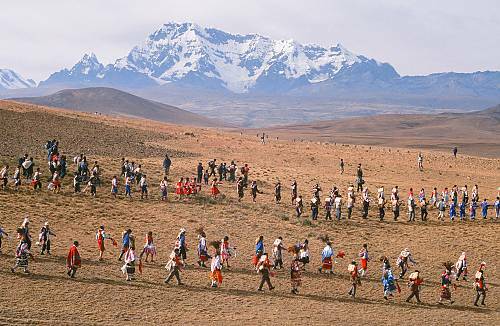 The pilgrimage encompasses a broad variety of cultural expressions and constitutes a meeting place for communities from different Andean altitudes engaged in different economic activities.